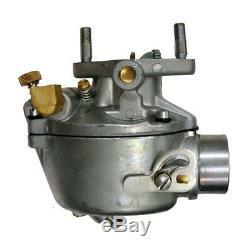 One Brand New Aftermarket Replacement Zenith Style Carburetor Made to Fit International Harvester / Farmall Models: A, AV, B, BN, C, Super A, Super C Tech Info: This is a new, Marvel Schebler style replacement carburetor. The mounting studs measure 2-3/8 center to center. The throttle body throat measures 1-1/16 diameter. The choke air horn (air inlet) measures 1-1/2 OD. The fuel inlet measures 1/8 NPT. 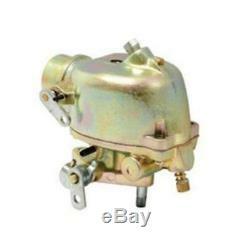 The carburetor mounting flange gasket and studs are included. 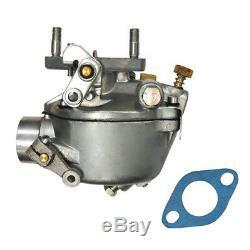 Replaces Part Number: 352047R91, 372985R92, 69401D, 69402D, 69404D. Only the 48 contiguous States in the U. The item "352376R92 NEW IH-Farmall Tractor Carburetor for A, AV, B, BN, C, SUPER" is in sale since Tuesday, January 29, 2019. This item is in the category "Business & Industrial\Heavy Equipment, Parts & Attachments\Heavy Equipment Parts & Accessories\Tractor Parts". The seller is "stevenslake" and is located in Williamston, Michigan. This item can be shipped worldwide.